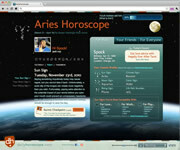 Get the most accurate horoscopes on the go with free mobile, desktop and tablet apps from DailyHoroscope.com! 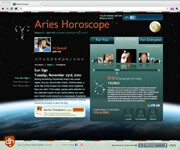 The best horoscopes on the web now offer insight and advice whenever and wherever you need them! 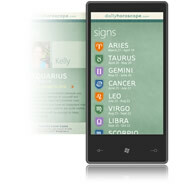 This tablet app for Android devices is interactive, animated and visually stimulating with customizable ambient music to fit your mood ... taking the experience of reading horoscopes to a whole new and exciting level! 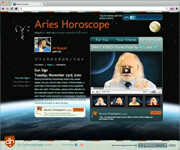 Install the Daily Horoscope app ... now available in the Chrome Web Store. Note: You can only install the app in a Google Chrome browser. 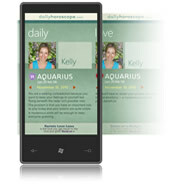 We're pleased to announce that our daily horoscope app is now available for Windows Phone 7 devices! Get horoscopes for today, yesterday and tomorrow, check out the current moon phase, and view horoscopes for your friends and family, all with an easy one-step setup process! 3) Type "DailyHoroscope" in the search field and hit "Search"
4) Once you find the "DailyHoroscope" app, choose "Install" and follow the instructions.